“Instagram users tend to be fashionable, savvy and willing to spend money on items that they fall in love with. It can also be used to drive huge amounts of traffic to your website…” – Holly Jackson. It’s easy to get sucked into Instagram, especially as you scroll through the endless supply of effortlessly beautiful photos. It can also seem intimidating to make Instagram work for your business, since it’s purely a photo sharing tool and is mostly devoid of direct links back to products or websites. With some basic organization and a big dose of creativity, it’s easy for any business to join in on Instagram. We’re going to go over some easy tips to get started on Instagram in a bit, but I wanted to begin with a question I get from a lot of my clients: “Why do I need to think about Instagram anyway?”. As someone who frequently feels overwhelmed by all the social media tools out there, I hear you. However, Instagram boosts lots of benefits that your businesses can utilize. 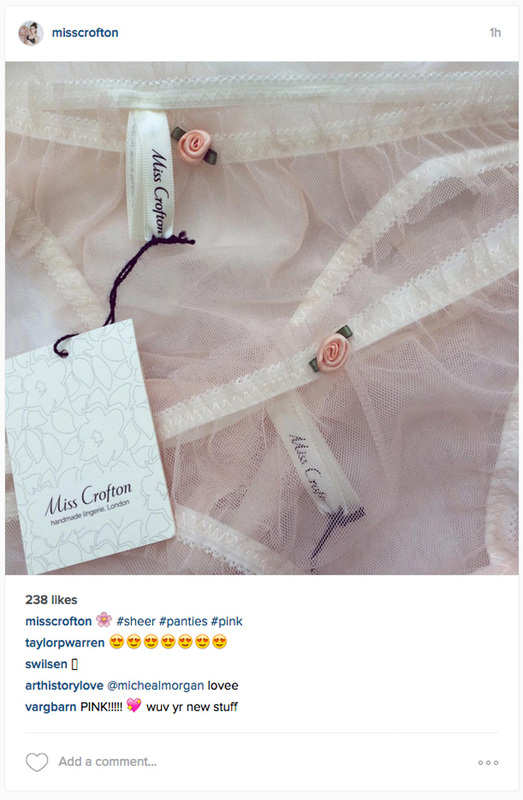 Instagram users tend to be fashionable, savvy and willing to spend money on items that they fall in love with. It can also be used to drive huge amounts of traffic to your website, as well as to build a following of people who might not find you through Google or other social media sites. Most importantly, it’s also a great place to show off that your business has a heart and a personality. When choosing between two businesses with similar inventory and pricing, customers will almost always choose the business who they feel connected to. Don’t you want that to be you? Today I’m going to cover some easy Instagram Tips for getting started, creating great Instagram content and using that content to drive traffic towards your website and to your store. Creating great content is easy and can even be fun once you get the hang of it! 1) Create a hashtag and mine your stylish customers for content. 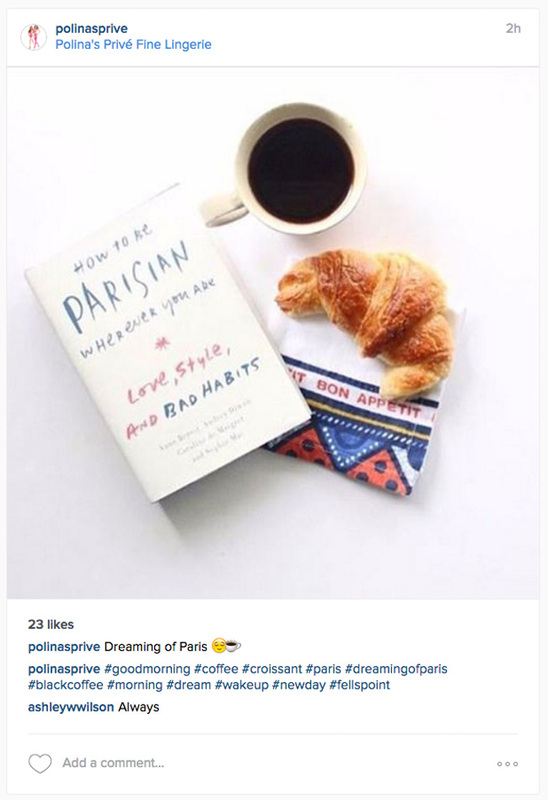 Instagram users love to share everything from their stocking welt photos to their latest food cravings. If your customers hang out there, they are probably already sharing the more stylish portions of their life with everyone. If they are buying from your store, this probably means that some of your products are already out there being shown off in Instagram ready photographs. There are several ways to collect and use these photos. You can have customers email hi res versions to an email address, which is great if you want to use them in blogs or other promotional materials. You can also create a hashtag that is unique to your business and have customers tag their posts with the hashtag. Lastly, you can use an app like Repost (http://regram.me) to share photos posted on Instagram directly, like you would with a Facebook post. 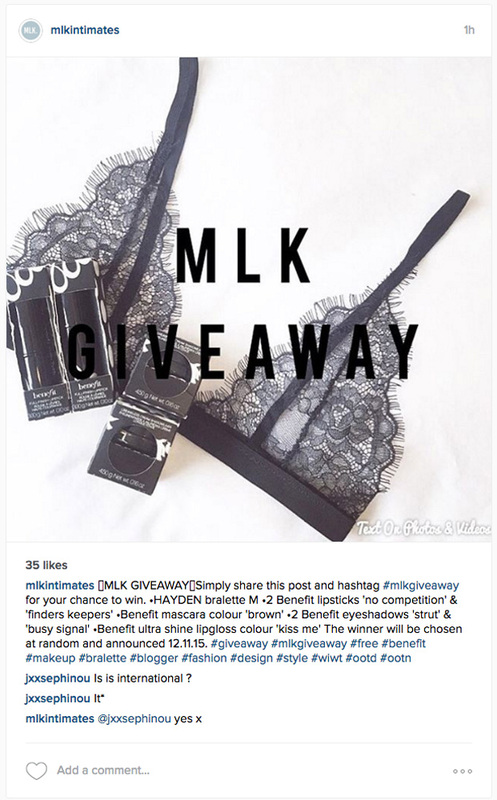 Now that other platforms are putting restrictions on contests and giveaways, Instagram has taken over as the giveaway platform of choice. Custom hashtags make it easy to track entries, which takes some of the hassle out of managing things. 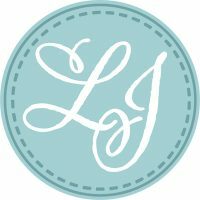 You can either create a post and have customers re-post it so all of their followers see it, or you can get creative and ask them to submit photos of their own featuring your products or based on a theme. 3) Don’t be afraid to get off topic. Instagram is a lifestyle platform at heart, which means that pure advertising content won’t help build followers. Don’t be afraid to post what you had for lunch (as long as it’s pretty or trendy), any travel photos – and definitely get ready to turn any cats or dogs you have handy into Instagram stars. 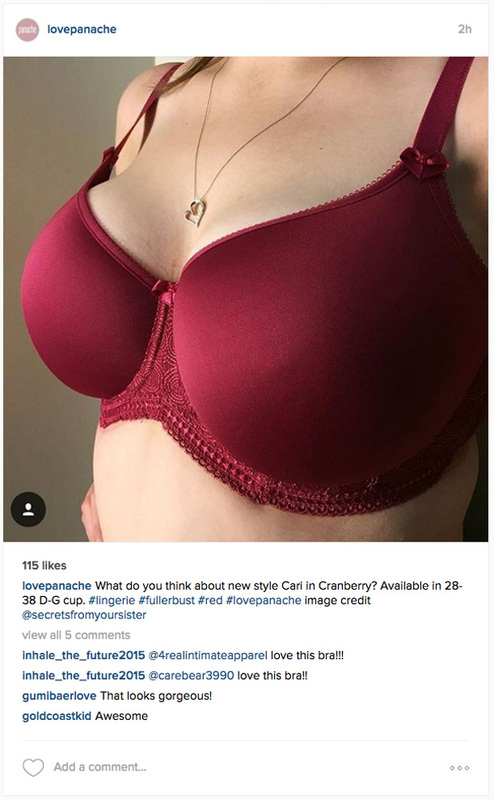 Off topic posts can help give your business a personality beyond your inventory or brand name, which helps customers remember you the next time they are in the market for a bra. 4. Create a content schedule and take batches of photos at once. 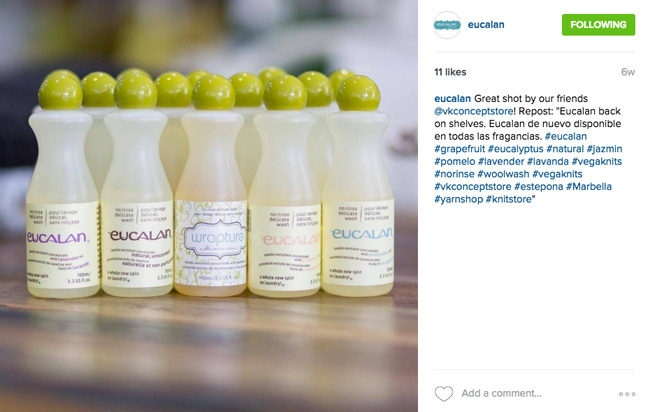 Being a success on Instagram means that you can’t rely solely on content from others. Eventually, you’ll have to create your own. This part can be both scary and time consuming, which is where making a content schedule comes in. Pick a day when your store or workspace looks tidy and trendy and take lots of pictures. If you’re shooting inventory on a model, take some extra behind the scenes shots and then dole them out in pieces on Instagram later. Eventually, you’ll start to see when activities that you’re already spending time on can generate Instagram appropriate content – then you can just build in a little extra time to snap some photos and be done with it. Many people think about seasonal content when it comes to the holidays or Valentine’s Day, but beautiful seasonal content can be used throughout the year to draw in followers. Fall foliage can be featured alongside rust and jewel toned bra displays, while Halloween can be used to showcase all of the elegant black lingerie options you have to offer. Spring florals are simple to pair with lingerie as well. Get creative and try to inspire yourself – your own interest will come through in your photos. 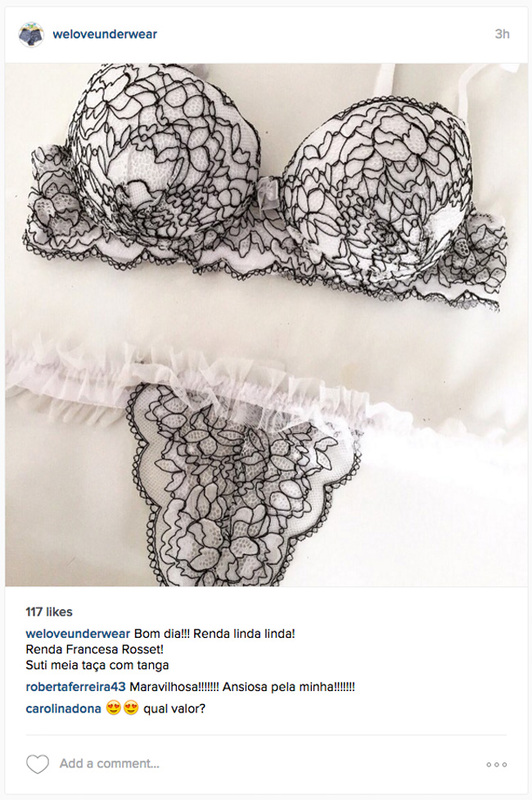 Do you use Instagram for your lingerie business? What have your results been?